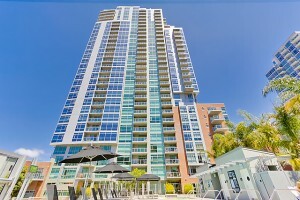 The Mark Condos in Downtown San Diego are quite possibly the finest residence in the hip, happening East Village. 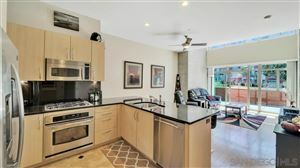 The Mark condos encompasses an entire city block between Market, Island, 8th and 9th Avenues and lies just two blocks away from the lively Petco Park. 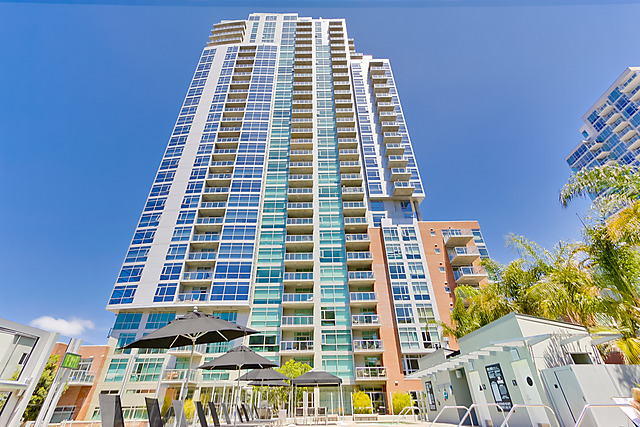 Developed by Douglas Wilson in 2007 and designed by Martinez & Cutri, The Mark San Diego Condos feature a 33 story tower with a total of 233 residences which include 11 brick townhomes that enclose an urban courtyard with lavish amenities. The urban courtyard includes a 55’ lap pool, generous hydrotherapy spa, sun deck with lounging chairs, contemporary cabana, BBQ area, and large grassy park-like area. Designed for gracious living and entertaining, The Mark San Diego is an effortless fusion of classic elegance and sophistication with lavishly appointed details. The views beyond The Mark’s floor to ceiling glass walls are truly extraordinary. 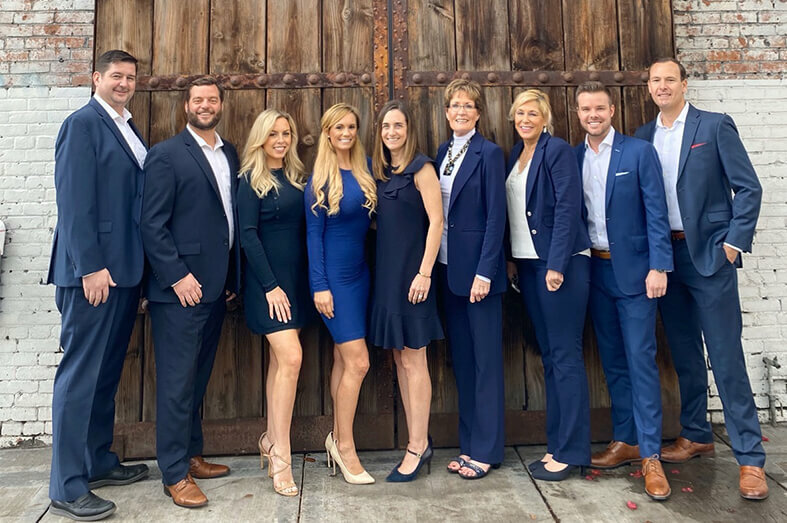 From the dazzling views of Petco Park to the south, Balboa Park and distant mountain peaks to the north to panoramic views of the bay and Coronado, exhilarating and breathtaking views energize the tower residences. The views to the South over Petco Park will be some of the best preserved views as Downtown San Diego experiences future development. The Mark San Diego Features luxury interiors which include 9’ ceiling heights on floors 2-19 and impressive 10’ ceiling heights on floors 20-31. The penthouse residence offers high volume ceilings and custom finishes. Most residences at The Mark San Diego feature European cabinetry, granite slab counter-tops, gourmet kitchens, stainless steel appliances, ceramic tile in kitchens and generous balconies. Residences at The Mark are truly a cut above and represent the best of East Village.